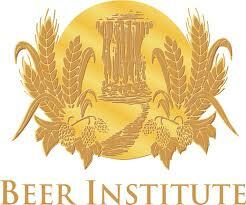 Beer Institute Recognizes Alcohol Awareness Month, Highlights Commitment to Reduce Underage Drinking, Drunk Driving. In recognition of National Alcohol Awareness Month, Joe McClain, president of the Beer Institute, emphasized the long-term commitment of brewers and importers to reduce underage drinking and drunk driving. As an industry, they have made significant investments in public safety, education and prevention campaigns. Anheuser-Busch has created a Family Talk Facebook page (available at www.facebook.com/AnheuserBuschFamilyTalkAboutDrinking) to provide resources and encourage open, honest communication between children and parents about alcohol responsibility. In addition, through the company’s We I.D. program, Anheuser-Busch and its family of 600 wholesalers host trainings and distribute tools to help retailers serve and sell alcohol responsibly, and post signage to remind customers that they will be asked to show a valid I.D. when they purchase alcohol. MillerCoors surpassed its One Million Strong commitment in 2010 by encouraging consumers to not drive drunk by either planning ahead for a safe ride home via the Miller Lite Free Rides program, calling 1-800-TaxiCab or taking a pledge of responsibility on GreatBeerGreatResponsibility.com or at one of many sponsored events. MillerCoors has made the same One Million Strong commitment for 2011 and, to date, 423,018 people have already taken the pledge. Heineken USA is proud to offer support for Taxi Magic, a nationally accessible Smartphone application connecting consumers to local taxicabs. Additionally, Heineken USA is a founding member of the Health Alliance on Alcohol, offering free resources to parents and mentors to encourage discussions with teens about various alcohol issues such as prom, graduation, teen driving and access to alcohol. Materials are available in English and Spanish and can be viewed, downloaded or ordered from www.HealthAllianceonAlcohol.com. Crown Imports works to include an element of responsible programming in major sponsorships like the U.S. Open of Surfing, which draws over 500,000 spectators, by providing free shuttle bus service and taxi vouchers for surfing fans. Crown Imports also partners with public transportation, like the Chicago Transit Authority, to offer “safe-rides home” over holiday time periods. The Beer Institute and industry partners recognize the need to promote responsible drinking year-round and are encouraged by trends that indicate declines in underage drinking. The Centers for Disease Control found that underage drinking among high school students has decreased 16.4 percent between 1999 and 2009, to the lowest level since tracking began in 1991. Echoing these findings, University of Michigan’s 2010 Monitoring the Future study marked the lowest level of alcohol consumption among 12th graders since the study’s inception in 1975. Entering college freshman also have shown a decrease in underage consumption. In 2010, UCLA’s Higher Education Research Institute found beer drinking among college freshmen is 20 percent lower than in 2000 and down 48 percent since its peak in 1982. Additionally, the U.S. Department of Transportation reported drunk-driving fatalities fell to a record-low level in 2009. For more information on the beer industry’s responsibility initiatives, visit www.beerinstitute.org.